224 pages | 70 B/W Illus. Australia has long been a highly (sub)urbanized nation, but the major distinctive feature of its contemporary settlement pattern is that the great majority of Australians live in a small number of large metropolitan areas focused on the state capital cities. The development and application of effective urban policy at a regional scale is a significant global challenge given the complexities of urban space and governance. Building on the editors’ previous collection The Australian Metropolis: A Planning History (2000), this new book examines the recent history of metropolitan planning in Australia since the beginning of the twenty-first century. 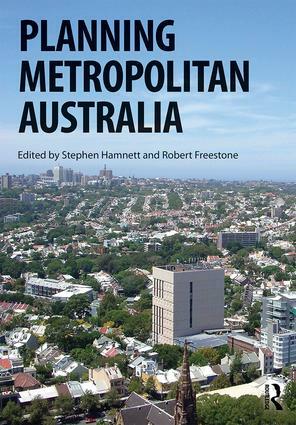 After a historical prelude, the book is structured around a series of six case studies of metropolitan Melbourne, Sydney, Adelaide, Perth, the fast-growing metropolitan region of South-East Queensland centred on Brisbane, and the national capital of Canberra. These essays are contributed by some of Australia’s leading urbanists. Set against a dynamic background of economic change, restructured land uses, a more diverse population, and growing spatial and social inequality, the book identifies a broad planning consensus around the notion of making Australian cities more contained, compact and resilient. But it also observes a continuing gulf between the simplified aims of metropolitan strategies and our growing understanding of the complex functioning of the varied communities in which most people live. This book reflects on the raft of planning challenges presented at the metropolitan scale, looks at what the future of Australian cities might be, and speculates about the prospects of more effective metropolitan planning arrangements. Stephen Hamnett is Emeritus Professor of Urban and Regional Planning at the University of South Australia in Adelaide and a Commissioner of the Environment, Resources and Development Court of South Australia. Robert Freestone is Professor of Planning in the Faculty of Built Environment at the University of New South Wales in Sydney, Australia.